The World Championships should surely recognise the best rider in the world - has the one-day race format had its day? The annual World Championships road race should, by its very name, find the best rider of that particular year. The winner earns the right to wear the rainbow jersey of world champion for the following 12 months, singling them out in the peloton as something a bit special. But is the World Championships a bit of nonsense? Does it really honour the best rider? Here are six reasons why I think it doesn’t. You can only really find the best rider in the world if all of the leading contenders for such a title are present. But they often aren’t at the World Championships. Either by lack of selection, illness, fatigue or injury the one-day-only format of the current World Championships means that the peloton is often missing some of the biggest names. In addition, the all-encompassing nature of the Worlds means that a section of the peloton is made up of riders with limited experience of the biggest races. It makes for a hotchpotch of a bunch, with riders often dropped on the first lap, never to be seen again. With increasing specialisation of riders – sprinters, climbers, classics – riders will only target the Worlds if the course suits their particular ability. That’s fair enough, but what that does is limit the outcome of the race severely. That kind of bias means that the number of riders able to contest the race is whittled down before it has even started. A flat course will favour the sprinters – but does that really mean a bunch sprinter is the very best cyclist in the world? A selection process has to be put in place to ensure some kind of fair representation for each nation involved in the race. 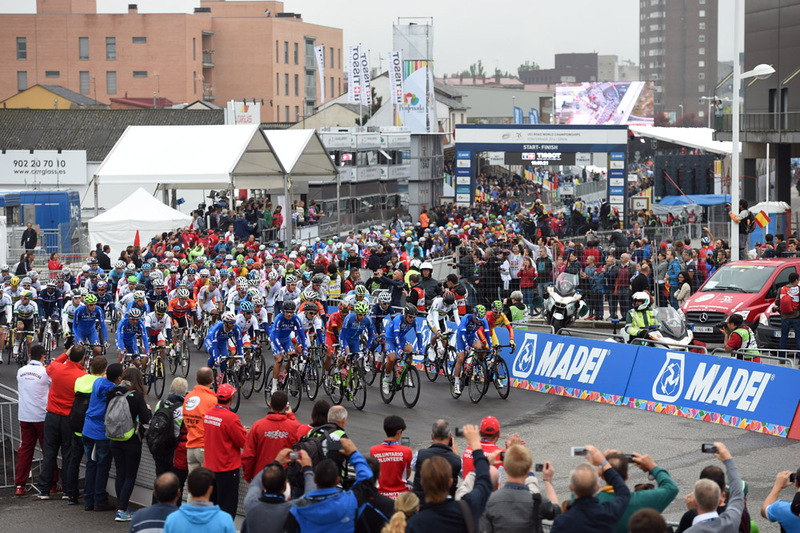 The UCI has devised a points system that allows it to decide which countries field the maximum number of riders (nine), and who fields eight, seven, six and so on. This system ensures all nations have representation, but where you may have 20 or so Belgian riders in, say, a top one-day WorldTour race, you will only ever get nine at the Worlds. The flip side is that riders from under-represented nations in the pro peloton – e.g. Czech Republic, Slovakia, Eritrea – will only ever be able to field a limited team of support riders for their leader, no matter how good that leader is, putting them at an unfair disadvantage. Ask Peter Sagan. Currently, the Worlds take place at the tail-end of the season when most riders have already peaked for other events such as the Tour de France. Many are suffering from fatigue after a busy year, and some – like Alberto Contador – have already drawn their season to a close. A mid-summer, pre-Tour date would ensure the maximum number of riders in good shape for the race. It’s in everyone’s interest to see the best riders compete (see 1 above). Travelling is a big part of modern cycling. The globalisation of the sport has meant that the peloton is now multicultural, with riders from every continent. Naturally, the World Championships is all about nations competing against each other but that also plays against those that have had to travel long and far to get to the Worlds. Those suffering from fatigue after a long journey are at an immediate disadvantage to those in a ‘home’ race. I truly feel sorry for any cycling commentator that gets saddled with having to talk through the Worlds road race. Six and a half hours of watching cyclists ride around laps of a slightly uninspiring city-based loop does not make for great conversational material – or television viewing. The real action often only happens in the dying kilometres of the men’s 250km event after a war of attrition takes place. Some people say this makes for a great race, last man standing wins and all that. But really you can tune into the last five minutes and probably catch all you need to see. Compared to, say, an Alpine mountain stage of the Tour de France or Paris-Roubaix, it’s sadly lacking. The shorter women’s race often serves up much better action. This is all very negative, what’s the answer? There are already season-long competitions in place for both the men’s and women’s professional cyclists: the WorldTour in the case of men, and World Cup for women. Both are series that include all types of terrain, and comprise single-day and stage races with points awarded for high placings. The series format also allows riders to miss individual events due to injury/illness without necessarily overly affecting their overall performance. Awarding World Champion status to the winners of each series at the end of the year would be a fair solution. Of course, that will never happen. The World Championships will remain a one-day race in the same format for the foreseeable future. Love it or hate it, it’s here to stay. 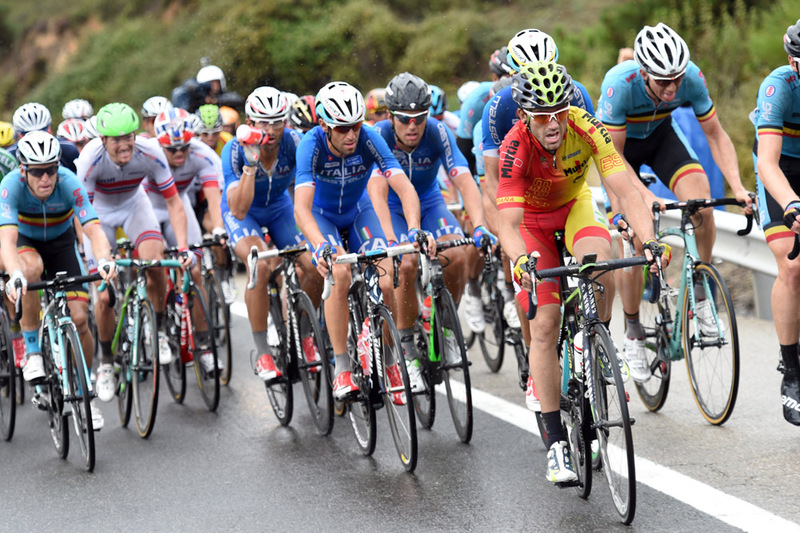 The 2015 UCI Road World Championships take place in Richmond, Virginia, USA, over September 19-27. The women’s elite road race takes place on Saturday, September 26, with the elite men’s road race on Sunday, September 27.